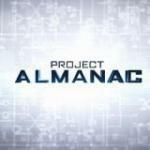 Project Almanac is a science fiction film that describes how ordinary young people have found time machine drawings, created it and moved between past and present times just like crossing the street, forgetting about the elementary physical and philosophical chain of events called "butterfly effect". Well, it is good that music producers of a collection for the film, have not forgot anything, created a magnificent collection, which may surprise (well known, but unexpected here Nokia ringtone), cheer (Thunder Clatter) and even set a romantic mood, as a Brother. 23 songs fully reflect the atmosphere of the youth film in general, which, despite the exciting storyline, has a place for new meetings and fun. Because the collection isn’t full with obvious masters of the music world, we are also acquainted with newcomers such as Neulore or Adam Martin from Australia. In general, the music support matches the progressive young people who understand that pop genre isn’t popular anymore (interesting pun) – now the trend is a slight techno-disco, like the works of David Guetta, so Press Play artist with his Love Audio and #LITO understands that. Along with the heroes of the movie, you can feel like time traveler with This World Is Yours or instrumental Getting That Money. 3 Foot Tall brought a touch of rap, Tongue Tied – British style, recalling the work of Tokyo, Born To Rage – lightweight electro-rock, Radioactive is something between rock and R'n'B.